As the bossa nova movement evolves in the early 1960s, Brazil’s original aestheticism gives way to the introduction of political themes. The politicization of popular music would take shape under Brazil’s military dictatorship of 1964 leading to the so-called “protest song“, of which one of the most emblematic is Caminhando (“Walking”) by Geraldo Vandré. It is the time of great musical festivals, when a “university” generation of composers and singers appeared. Artists such as Chico Buarque and Edu Lobo would be idolized by intellectuals and were instrumental in the creation of Música Popular Brasileira (Brazilian Popular Music) or MPB, a movement initially linked to political engagement against dictatorship. The Tropicália movement was also a form of protest song that appeared during the same period; it was characterized by the eclectic blend of pop culture elements -such as rock- with the elite culture -the modernist and concretist schools of visual arts- having a more erudite and experimental character. The Bahians Caetano Veloso and Gilberto Gil were the main exponents of this movement. The Iê-iê-iê style (Brazil’s rock’n’roll of the 60s, the equivalent of France’s yé-yé) was “softer” in Brazil than in the USA or UK, adopting a more romantic style. This movement came to be known as Jovem Guarda (Young Guard) and had huge commercial success. Its more representative artists were Roberto Carlos, Erasmo Carlos, Tim Maia and Wanderléa, among others. “Corcovado” was written by Antônio Carlos Jobim in 1960 and refers to Rio de Janeiro’s iconic Corcovado mountain. An English version was later released with the title “Quiet Nights of Quiet Stars“. This song was included in the album Brazil’s Brilliant João Gilberto, which was released in the United States in 1960. It was the record that introduced João Gilberto, Antonio Carlos Jobim and bossa nova to the American audience, before Stan Getz scored a hit with “Desafinado”. This song (“My beloved”) is the most successful fruit of Carlos Lyra’s partnership with “El poetinha” Vinicius de Moraes. “Minha Namorada” was released during the bossa nova boom, but in terms of rhythm and melody it does not have much to do with it. It is a romantic, tender and sincere ballad; Lyra and Vinicius wrote other emblematic songs, but few were as perennial as this one. One of Brazil’s most charismatic divas, known as “the Janis Joplin of Bossa Nova” due to her tumultuous personal life, Maysa would become influential for a whole generation of Brazilian artists. This song (the title means “Little boat”) was reportedly composed by Roberto Menescal and Ronaldo Bôscoli while being with friends on a boat; suddenly the engine broke down, and the sound of the motor when they were trying to restart the boat made the tune for “O Barquinho”. It was re-recorded many times, but this is one of the most successful and beautiful versions. “Só Danço Samba” was composed by Antônio Carlos Jobim, with lyrics by Vinicius de Moraes; it was suggested that the song was part of a failed movement to invent a bossa nova dance. Só Danço Samba became in instant classic with hundreds recordings over the decades. With English lyrics provided by Norman Gimbel, it gained immediate international popularity under the titles Jazz Samba, Jazz ‘n’ Samba or occasionally I Only Dance Samba (literal translation of the original Portuguese title). “Drinking-Water” was composed by Brazil’s towering figure of bossa nova and one of the great songwriters of the century Antônio Carlos Jobim, with lyrics by another fundamental figure in Brazilian music, the co-father of bossa nova, Vinicius de Moraes. This was reportedly the first song composed in the new Brazil capital, Brasilia, while it was still being constructed. It has had many re-recordings; some great versions are those by Astrud Gilberto, Ella Fitzgerald and Frank Sinatra. This is arguably Brazil’s most iconic song; the sound of an era in which bossa nova was the lingua franca of the country and this song its anthem. Summer 1962, Rio de Janeiro. The story goes that Antonio Carlos Jobim and Vinicius de Moraes were sitting at a bar near Ipanema Beach in Rio, when they saw the most beautiful woman walking by, and they immediately wrote this song down on a bar napkin! (not quite exactly the truth, though, read more here). The original version, Garota de Ipanema was released in 1962. Nevertheless, while an Ipanema girl named Heloísa inspired the song, it was another Carioca who made it famous worldwide. Astrud Gilberto was the wife of singing star João Gilberto, when she entered a New York studio in March 1963. João and Jobim were making a record of the song with tenor saxman Stan Getz. 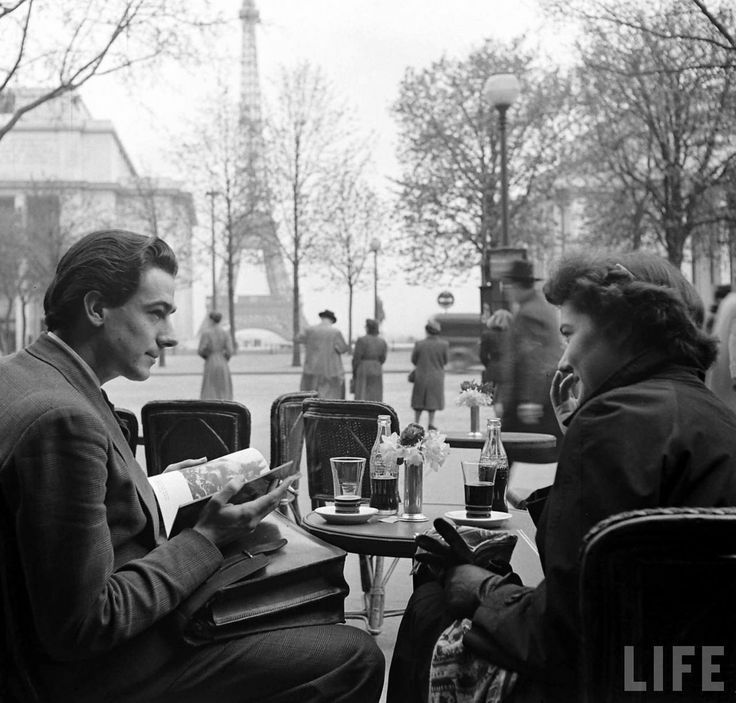 The idea of a verse in English came up, and Astrud was the only one of the Brazilians who spoke English. The song with the name “The Girl from Ipanema” was released and it rapidly became a huge worldwide hit. Indeed, it is the second most re-recorded song in history after The Beatles’ “Yesterday”. This song (English: “The 11 P.M. Train”) was composed by São Paulo singer and composer Adoniran Barbosa; it portrays, in a tragicomical way, the drama of a lover who lives in a distant suburb of São Paulo, and who cannot stay longer with his beloved woman because the last train will be departing soon, at 11 p.m, and his mother won’t sleep until he gets home. “Trem das Onze” is an example of both samba paulista (samba developed in São Paulo) and samba-de-breque (here). It was released in 1964 and made famous that same year by the samba group Demônios da Garoa. It is one of the best known Brazilian popular songs and considered of the most representative cultural symbols of the city of São Paulo. “Coisas” (“Things”) is the debut album by composer, maestro and multi-instrumentalist Moacir Santos. It was released in 1965; the ten tracks of the album were named as “Things” – numbered from 1 to 10. The LP was chosen by the Brazilian Rolling Stone Magazine as one of the 100 best Brazilian records of all time. If you want to hear good, uplifting samba, this is the song! Mas que nada (the English translation would be “come on” or “yeah! Right”) was the first hit of an artist who would became a real school within Brazil’s popular music, Jorge Ben (later, Jorge Ben Jor). It was an impressive hit in 1963, and the beginning of Jorge Ben’s career. “Summer Samba” (also known as “So Nice”) was first popularized by Walter Wanderley Trio in 1966 — the album Rain Forest on which it was issued reached platinum status in 1970. The song became an instant success, with radio stations playing it constantly. Also in 1966 the trio accompanied Astrud Gilberto on her A Certain Smile, a Certain Sadness album, which features a beautiful, sung version of this song. Although immortalized as an “easy listening” or “lounge music” artist, Wanderley music was at that time innovative and revolutionary. The percussive rhythms reminiscent of a Brazilian black tradition were not dear to many Brazilians; in fact most of his successful career took place in the United States. In candomblé (an Afro-American religious tradition), there is no ceremony without the presence of Ossanha, the entity that holds the magic force – the axé – necessary in every ritual. Perhaps this is the reason why “Canto de Ossanha” is the opening track of Os Afro-Sambas, the third album emerged from the partnership between the music of Baden Powell and the lyrics of Vinicius de Moraes. This syncretism of Brazil with Africa via Bahia, now so natural, was not taken for granted in the 60s. “Canto de Ossanha” helped the sound of Afro-Brazilian religions, systematically persecuted until two decades before, become an inextricable part of Brazil’s music and culture. A great cover of this song was released in 2006 by Jurassic 5. “Happiness, Happiness” is a song written and performed by Caetano Veloso. Often referred to as “the Brazilian anthem of 1967”, it later appeared on his influential eponymous 1968 album. This was the song that introduced the Tropicália movement to Brazil. The ideal exposed by the song lyrics was first presented at a memorable live performance in 1967, reinforced by the Argentine group Beat Boys, who added visual aesthetics. It was a hit at the time, and was often sung during public manifestations in favor of impeachment. An emblematic figure of Brazil’s popular music, Wilson Simonal was a singer with great success in the 1960s and 1970s, although he was relatively unknown outside of South America. This is his biggest international hit (the title would be translated as “Don’t even think about it!”); it was adapted and recorded by French singer Zanini, who made a hit with the song “Tu veux ou tu veux pas”. A singer, multi-instrumentalist, producer and composer, Edú Lobo is one of the driving forces behind the MPB movement. He has worked with the most important Brazilian artists and his songs were covered by big names of international music such as Sarah Vaughan and Earth, Wind & Fire. This is one of his most famous songs, performed here with Marília Medalha; with this song they were the winners of the III Festival de Música Popular Brasileira/FMPB in 1967. Arguably one of Brazil’s most renowned songwriters and singers, Chico Buarque is an iconoclastic figure in post-bossa nova Brazilian music. With his distinctive voice, elegant phrasing, and considerable skill at lyric writing, Buarque became extremely popular in the 1960s –particularly among women, as he was very handsome. However, Buarque resented the role of pop star and chose to be seen as a serious artist. Roda Viva (“The wheel of life”) is a song that Buarque wrote for the eponymous play; it was a criticism to the obsessive fan culture. During the play, the pop star protagonist was literally torn apart and his flesh consumed by his fans; the performers would also offer the audience pieces of the dead pop star’s flesh to eat (it was chicken meat). Needless to say, the military dictatorship in charge those years did not like the idea of the play and soldiers were sent out to disrupt the performances, destroy sets and assault performers; Chico Buarque himself was briefly jailed. Os Mutantes (“The Mutants”) are one of the most talented and influential Brazilian psychedelic rock bands that were linked with the Tropicália movement. 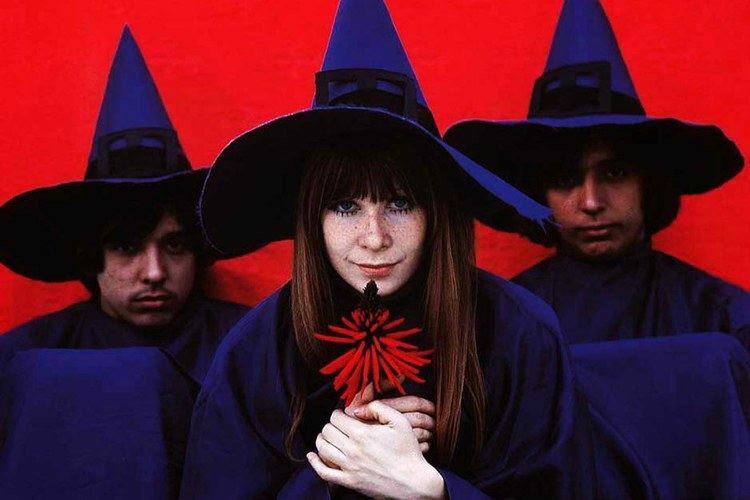 Their unique blend of psychedelic rock, bossa nova, tropicália and samba has inspired many contemporary American and European artists, who cite Os Mutantes as a major influence. With many changes from the original line-up featuring Rita Lee, Arnaldo Baptista and Sérgio Dias, the band has been active since then, with their last album being released in 2013. The title of this song means “Bread and Circuses”, and it is an allusion to the classical poet Juvenal, who scorned ancient Romans for their easy and predictable manipulation through bread and circus. The song, in turn, is a satire of bourgeois conventions. In the lyrics, a first-person poetic voice tries desperately to alarm the family, to snap them out of their mental and physical stagnation; the attempt is futile. During these early years of military rule in Brazil, when economic liberalization brought quick financial boons to the complaisant and complicit upper middle class, expressions of rejection of these mores were frequent in Brazilian music. The opening track of the first tropicalista album by Caetano Veloso, “Alegria, Alegria”. It was very popular upon its release in Brazil, and the Brazilian press used the song title “Tropicália” to christen the larger artistic movement it represented “Tropicalismo”, to the disdain of Caetano himself. Later it was re-recorded by Gal Costa and inspired a homonymous song, released by the American Beck, declared lover of the movement. Although Caetano has expressed displeasure with the album, it often shows up on lists of greatest Brazilian albums, and was inducted into the Latin Grammy Award Hall of Fame in 2001. Also known as “Caminhando” (“Walking”; or “Not to say that I haven’t spoken about the flowers”), it was composed by Geraldo Vandré and was presented at the III International Festival of Song of TV Globo in 1968 where it ranked second (the winner was “Sabiá”). It caused a great controversy at that time because the public, mostly students thirsting for protest songs, booed the jury’s decision and made the explosive “Pra Não Dizer…” a sort of anthem of a generation. The song was considered by the dictatorship a mockery of the armed forces; public playing of the song was forbidden, all the registers of Vandré’s presentation at the festival were deleted, and Vandré became one of the most hunted persons in the country, forced eventually to flee the country. The song was finally released 11 years later, with the end of dictatorship. Walking is still used to remember the situation the country was going through at the time and to keep alive the memories of those who were victims of the hard times of dictatorship. It has been re-recorded many times, of which one of the most iconic is the one by Simone; the latter was lately sampled by Reboot and Federico Scavo. With this song (“Sunday at the park”) Gilberto Gil got the second place at the 1967 III Festival of Popular Music, accompanied by Os Mutantes; it was later released in the album Gilberto Gil (1968). Gil, together with Caetano Veloso, became the leader of Brazil’s Tropicalia movement. His musical style provided a more universal sound to the music played at that time, mixing electric guitar with traditional Bahian elements, such as the sound of the berimbau. He is undoubtedly one of Brazil’s, and the world’s most celebrated singer/songwriters, with a musical career that has successfully spanned six decades and hits in each one. With his signature deep bass voice, Noriel Vilela made a career first as a member of the samba vocal group Cantores de Ebano. His 1969 solo album “Eis o Ôme” is a succession of sambalanço songs with strong afro influence. This was Vilela’s greatest hits, which is a Portuguese version of the American classic “Sixteen Tons” by Ernie Ford and Merle Travis. The latest years Vilela enjoys a cult revival among fans of sambalanço. In 2014 “Dezesseis Toneladas” was used for a famous beer commercial, and since then it has been re-recorded several times. “Sitting at the Edge of the Road” was composed by the legendary duo Roberto Carlos & Erasmo Carlos and released by Erasmo Carlos. The song describes the despair and hopelessness of a lover waiting for his beloved; it became an instant hit and was adapted in many languages, the most famous version being the Italian by Ornella Vanoni with title “L’appuntamento”. Vanoni’s version was included in the musical score of the film Ocean’s Twelve.